will now have their historic stonework repaired. It’s that nice time of year again when we announce who gets some much-needed money. The Building Improvement Program supported through the NSW Government Office of Environment and Heritage and the Heritage Council of NSW has been finalised. Winners are awarded in two categories: Building Repairs and Building Assessments. 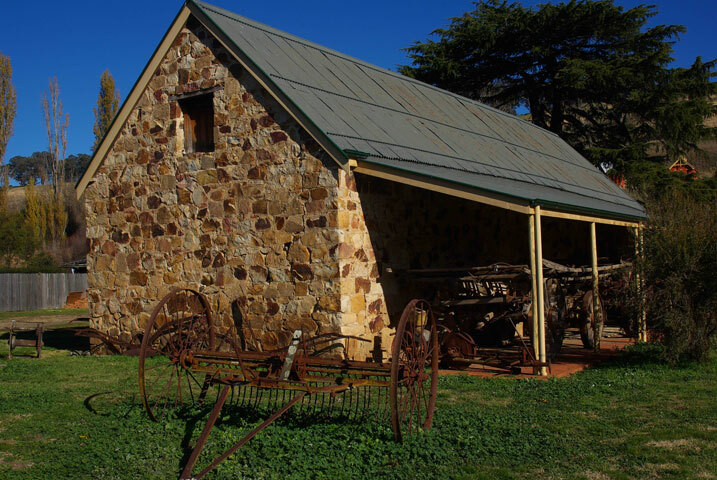 Carcoar Stoke Stable Museum will engage a professional stone mason for work on one of Carcoar’s oldest and most iconic buildings. Moruya Museum will engage a contractor to install roof and ceiling insulation to tackle damp and improve the care of their collections. Old Courthouse Museum in Batemans Bay will bring in contractors for electrical, plumbing and insulation remedial works. These applicants have all been through the program previously and their nominated projects were recommended by the architect and conservator who authored their Building Assessment. This year, OCP Architects (Otto Cserhalmi and Partners) has been engaged to carry out the building assessments for the four successful organisations. The reports based on these assessments will include detailed recommendations and provide the a blueprint for caring for the buildings into the future. Congratulations to everyone: we are looking forward to seeing the fruits of hard labour.